Cliven Bundy on Gold Butte National Monument, where he grazes cattle. Want to catch up on big developments quickly? See more stories here. 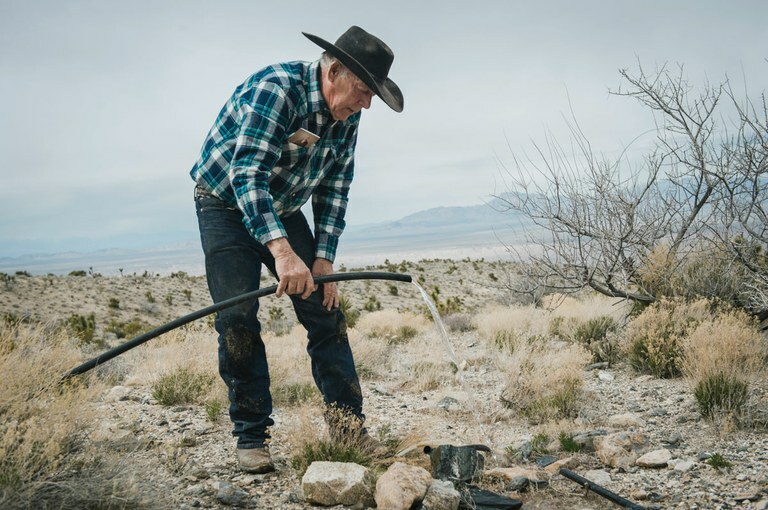 Nevada rancher Cliven Bundy illegally grazed cattle on federal land for decades, then led a protest in 2014 when the feds tried to confiscate his herd. It turned into an armed standoff with the Bureau of Land Management and National Park Service, and Bundy and 18 others ultimately faced federal charges, including conspiracy against the United States. In January 2018, Bundy’s charges were dismissed. The judge declared that a “universal sense of justice” was violated in the case because the Department of Justice withheld evidence from the defense (“How the feds helped make Cliven Bundy a celebrity,” HCN, 4/30/18). In February, federal prosecutors filed an appeal, hoping to reopen the case. “Any missteps were inadvertent (or at worst negligent), and those errors did not merit the court’s strong condemnation of the prosecution team,” Assistant U.S. Attorney Elizabeth White, one of the prosecutors in the case, wrote, the Las Vegas Review-Journal, reported. Meanwhile, the Bundys continue to illegally graze their cattle on federal lands. Note: This story has been updated to reflect that 19 people in total initially faced federal charges in relation to the 2014 standoff.